So many insurance companies in the world and not all of them have good judgment. This is the best insurance company in the world according to various reliable sources. Insurance helps us do exactly what this quote suggests. We all face many types of risks: the risk of meeting an accident, falling ill, being a victim of a natural disaster or fire, and especially the risk of life. All of these risks not only come with pain and suffering but are also financially hurt. Insurance is one way to be prepared for the worst; it offers assurance that the economic part of the pain will be safeguarded. 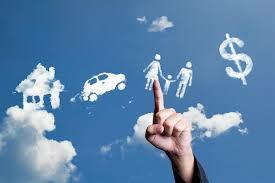 In this article, we will look at some of the leading insurance companies. There are many criteria that form the basis of the list: premium collections, market capitalization, income, profits, geographical area, assets, and more. The following list focuses on a number of factors and insurance companies are in no particular order. With more than 102 million customers in 56 countries and 157,000 employee base, AXA is one of the leading insurance groups in the world. Its main business is property insurance and casualties, life insurance, savings and asset management. Originally back to 1817 when several insurance companies joined forces to create AXA. The company is headquartered in Paris and has a presence throughout Africa, North America, Central and South America, Asia Pacific, Europe and the Middle East. In 2013, AXA as a step to increase its footing in Latin America acquired 51% of the insurance operations of Colpatria Seguros in Colombia. During the same year, AXA became the largest international insurance company operating in China as a result of the 50% acquisition of Tian Ping (a property company and accident insurance in China). In addition, the company acquired HSBC's non-life insurance operations in Mexico. The AXA group reported total revenues of € 99 billion for fiscal year 2015. Zurich Insurance Group, a global insurance company headquartered in Switzerland, was founded in 1872. Zurich Group, together with its subsidiaries, operates in more than 170 countries, providing insurance products and services. Zurich's core business includes general insurance, global life and farmer insurance. With an employee strength of more than 55,000, Zurich serves the large insurance needs of individuals and businesses of all sizes: small, medium and large companies and even multinational companies. Total revenue in 2015 was $ 60.568 billion. The China Life Insurance Company (Group) (LFC) is one of the largest state-owned insurance and financial services companies in Mainland China, as well as key players in the Chinese capital market as institutional investors. The origin of the company returned to 1949 when the Chinese People's Insurance Company (PICC) was formed. Broken PICC (Life) Co. Ltd. was made after parting ways with PICC in 1996. PICC (Life) Co. Ltd. changed its name to the Chinese Life Insurance Company in 1999. The Chinese Life Insurance Company was restructured in 2003 as the China Life Insurance (Group) Company, which has seven subsidiaries. Businesses are spread in life insurance, pension plans, asset management, property and casualties, investment ownership and overseas operations. The company is listed on the New York Stock Exchange, the Hong Kong Stock Exchange and the Shanghai Stock Exchange, and is the largest public life insurance company in terms of market capitalization in the world. Berkshire Hathaway Inc. (BRK.A) was founded in 1889 and associated with Warren Buffet, which has transformed mediocre entities into one of the largest companies in the world. Berkshire Hathaway is now a leading investment manager conglomerate, which is engaged in insurance, among other sectors such as rail transportation, finance, utilities and energy, manufacturing, service, and retail through its subsidiaries. This provides primary insurance, as well as property reinsurance and accident risk. Companies such as Berkshire Hathaway, GEICO, Berkshire Hathaway Primary Group and General Re, National Indemnity Companies, Medical Protective Companies, Applied Underwriters, US Liability Insurance Companies, United States of America Compensation Companies, and Guard Insurance Groups are children company of the group. Prudential PLC (PUK) is a brand of insurance and financial services with operations that serve 24 million customers throughout Asia, the US, the US and most recently in Africa. Prudential was founded in England in 1848. Prudential Corporation Asia, Prudential U.K., Jackson National Life Insurance Company and M & G Investment are the main businesses in the group. Jackson is a leading insurance company in the United States, while Prudential UK is one of the leading providers of pensions and souls. Prudential plc is listed on the London, Hong Kong, Singapore and New York stock exchanges. It has around 22,308 employees worldwide, with managed assets valued at £ 509 billion. UnitedHealth Group Inc. (UNH) tops the list of diverse health care businesses in the United States. Its two business platforms - UnitedHealthcare for health benefits and Optum for health services - work together, serving more than 85 million people in every US state and 125 countries. The UnitedHealth Group uses its experience and resources in clinical care to improve the performance of the health care service sector. The company reported revenues of $ 157.1 billion in 2015. Fortune had made UnitedHealth Group the "World's Most Admired Company" in the managed and managed sectors six years in a row. Founded in 1880, Munich Re Group operates on all lines of insurance and has a presence in 30 countries, focusing on Asia and Europe. The company's main insurance operations are run by its subsidiary, ERGO Insurance Group, which offers a variety of insurance, services and provisions. The Munich Re Group's home market is Germany, where ERGO is a leader in all insurance fields. The group's latest group, Munich Health, combines group risk management and insurance expertise into the health care field. The group has around 45,000 employees worldwide, working in all insurance businesses: life reinsurance, health reinsurance, accident reinsurance, business liability, motor reinsurance, property-victim business, marine reinsurance, aviation reinsurance and fire reinsurance. Munich Re Group reported a profit of € 3.1 billion in 2015. Generic Assicurazioni, founded in 1831, is the parent company of the Generali Group Assicurazioni. Generali Group is not only the market leader in Italy, but is also considered a leading player in the field of global insurance and financial products. The group, with a presence in more than 60 countries, is an international brand with dominance in Western, Central and Eastern Europe. Generali Group's main focus is life insurance, offering a variety of products ranging from family protection and savings policies to unit-linked insurance plans. It offers a variety of products that are equally diverse in the non-life segment, such as car, home, accident and health coverage, along with a range of commercial and industrial risks. This group has 77,000 employees and a client base of 65 million people worldwide. It has € 480 billion in assets managed and is one of the 50 largest companies in the world. 9) Japan Post Holding Co., Ltd.
Japan Post Holding Co., Ltd. is a large state-owned conglomerate in Japan. The company has four main divisions: Japan Post Service (for mailing), Japan Post Network (running a post office), Japan Post Bank (dealing with banking functions), and Japan Post Insurance (providing life insurance). Japan Post Insurance operates within Japan Post Holding to provide insurance for its clients. The insurance arm uses a network of national post offices, in addition to its own sales office, to reach out and provide services to clients. Japan Post Holdings, which went public in 2015, reported consolidated earnings after tax of $ 3.84 billion from April to December 2015. The group manages Japan's largest insurance company (Japan Post Insurance). Founded in 1890, Allianz SE is a leading financial services company, providing products and services from insurance to asset management. Allianz serves customers in more than 70 countries with € 1.8 billion in managed assets. Insurance products range from property products and fatalities to health and life insurance products for corporate and individual customers. The company is headquartered in Germany. In 2015, total revenues reached new highs of € 125.2 billion euros. 0 Response to "Top 10 Insurance Companies in the World"
Heart Stays Healthy with a Few of These Tips!